Can you confidently say your night is going to be profitable? Or are you opening your doors and hoping for the best? Chances are it’s the latter, and you’re not alone. It’s common in this industry to not have an accurate idea going into the night of whether it’s going to be a boom or a bust. In fact, few venues have an idea after the night is over whether it should be deemed successful. 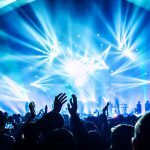 While this may be common, it’s a big issue for your business and is one of the main reasons why the average span of a nightclub is a mere 18 months. 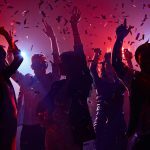 Fortunately, there are solutions built for the nightlife industry to help you get a hold of your business and to help make you even more profitable. Here’s how you can do just that. Running off pen & paper isn’t helping your venue in the long-run. Having different systems for different sections of your venue isn’t helping either. The way you truly understand how your venue is performing is by being interconnected across all areas of your venue. Think about the different solutions you use in your venue. There are point of sale systems, reservation management software, event & ticketing software, employee scheduling programs, customer relationship management systems…the list goes on. But unless these technologies are programmed to connect to each other, the data and processes will ultimately be useless. Why bother with 5 different technologies if it’s going to add 5 different processes? That’s wasted time with duplicated effort, wasted time with manual data entry, and lost data between the systems. The key ingredient to a successful platform is one that’s integrated into all areas so you can be fully interconnected. Look for a comprehensive venue management platform, like us at Vēmos, that automatically has integration functionality built within it. This is what allows you to manage, understand, and grow your business from a single dashboard. Once everything is connected in the right system, you have access to all your data in one place. This means you’ll be able to predict how your night is going to go based on historical data. Do you consistently get slammed around the same time? Staff accordingly. What issues have you experienced in the past? Fix those issues with processes. How many people have signed up for your guest list, made a reservation, or indicated they may be a general admission walk-up? What were the results of past nights similar to this one? This all helps you predict what your night is going to be like. Pre-selling inventory is another great way to make your nights predictable. It also helps you to understand how far in advance people tend to pre-purchase and whether you’re on target to hit your numbers. Just as your past data helps you understand if you need to boost staff and processes, it also tells you when to decrease unnecessary costs. Do you need to have as many servers as you do working at 8 pm when you consistently don’t get busy until 11? Do you need to pay your promoters a per-guest fee when the guests they bring in don’t end up spending anything once inside your venue? Know where you’re over spending and cut costs accordingly so that the money you are spending is going toward better ways to increase your profitability. Speaking of knowing where you’re over spending, marketing is one of those places you’re likely throwing money in the wrong places. But when you track your marketing efforts, you’re able to see exactly what drives traffic and results. So while a third-party website may claim to have garnered you 100,000 impressions, you know that it actually only got you 3 clicks and $0 in return. Now you know not to spend money there in the future and redistribute those dollars toward activities you know work for you. Having a system that tracks it all allows you to easily see what you get in return of what you put in. This not only saves you from wasting your dollars, but helps to bring in more money than before, turning your marketing from an expense and into an investment. You can experience a huge uptick to your bottom line after switching to a system backed by data. That’s because you know exactly what’s working and what doesn’t, which allows you to spend their money more wisely. 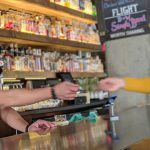 You also improve your operations to get your guests in the door faster to get to the bar more quickly, resulting in increased bar sales. When you have absolute clarity on your venue’s performance, you can do even more to increase your success. Without data, you’re simply just guessing and could be leaving a lot of money on the table.